In the 18th century Deptford was home to a bakery which made the iconic hard biscuits that fed the Sailors, Convicts and Navy who lived and worked in the Dockyard. For Deptford X artists Ashton and Mollett reincarnated the Mill lane bakery through making and distribution of Deptford Biscuits at a number of venues and events. 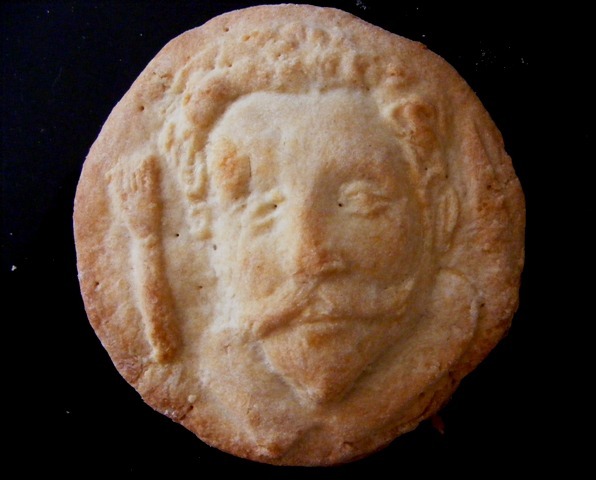 The Deptford Biscuit depicts the fate of the Golden Hinde, a ship with circumnavigated the globe to end up as an eatery in Deptford creek, and eventually got turned into a souvenir chair.